"When they get to that first corner, I'd rather look the other way, " Cheever, the 1998 Indy 500 winner said. "But since I am talking on TV, I can't. I view it as a miracle if they get through that first corner without an accident. It's such a difficult thing to get through because there's so much turbulence, so many cars changing lanes, so much speed, so much excitement. "To win the race, you have to get through that first corner, but it's just one of many hurdles you have to overcome to win that race." 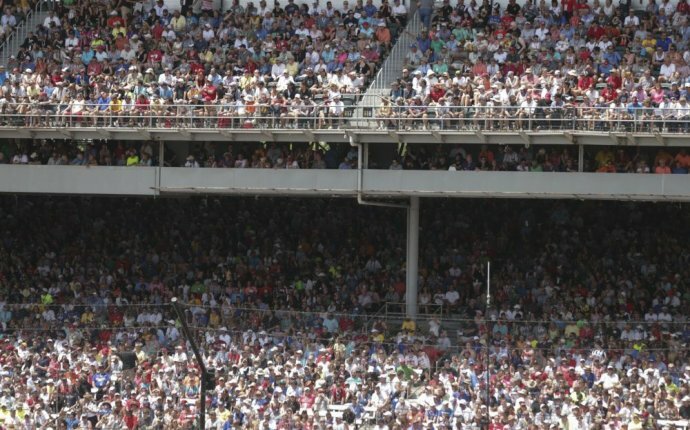 As if the start of the race won't be exciting enough, the finish figures to offer even more drama as the 101st running of what is known as the "Greatest Spectacle in Racing" highlights the sports viewing portion of the holiday weekend. Scott Dixon is the pole-sitter for the field of 33, which carries lots of local interest because two Lehigh Valley natives — Marco Andretti and Sage Karam — are in the field, and another local product, Michael Andretti, has his Andretti Autosport team well-positioned to get a second-straight winner and fifth Indy 500 win overall. Andretti Autosport has six cars in the race and four are starting in the first 10 positions. Of course, most of the pre-race intrigue will focus on one of the Andretti drivers in particular, two-time Formula One world champion Fernando Alonso, who bypassed the Monaco Grand Prix to run the Indy 500 for the first time. You can bet that the ABC/ESPN crew will give him a lot of attention because Alonso's entry has been the talk of the circuit leading into Sunday's race. "There have been two very successful Formula One drivers who were world champions who have raced at Indianapolis, but they raced for an entire season, " Cheever said, referring to Emerson Fittapaldi and Nigel Mansell. "They prepared and had races before so they could get used to the circuit. Coming in and driving in the Indy 500 as a single event hasn't happened since Graham Hill, Jimmy Clark and Jackie Stewart did it, which goes way back." In fact, Hill, who died in a plane crash in 1975 at the age of 46, is the only driver to win the Triple Crown of Motorsport — the 24 Hours of Le Mans, Indianapolis 500 and Monaco Grand Prix. "Alonso is attempting something that hasn't been attempted in many decades, " Cheever said. "But by him coming here, it has endorsed the Indianapolis 500 as a global race, as something that is unique and very important. He wants to add the Indy 500 to his great list of accomplishments. The perspective changes from this being a great North American race to something that all the Formula One fans are following because they want to see how well Alonso does. He did very well in qualifying, but he's not on the pole." Cheever said this is likely a one-and-done appearance by Alonso. "It's a unique set of circumstances for him to be here, but what I admire is that he has put all of his prestige on the line to come and race here, " Cheever said. "A lot of people assume he's going to come here and walk away with a win because of all his accomplishments, but he is going to have to beat a lot of extremely talented, well-prepared racecar drivers if he's going to win. He has put a big bull's-eye on his back because everyone wants to say they've beaten a two-time Formula One champion." But Alonso's performance is not the only thing that will provide intrigue to what is the most anticipated event in open-wheel racing and still one of the top events on the entire motorsports calendar. Cheever said the field is wide open and the race will come down to the final five laps, and maybe even the very last one, as it has several times in recent years. "Dixon and Tony Kanaan are favorites, but every race he competes, Helio Castroneves is a possible winner in a Penske car, " Cheevers said. "[Last year's winner] Alexander Rossi did very well to capitalize on a set of circumstances that fell his way last year. This year he's much more competitive and you can go at least 15 deep in the field and any one of those 15 can win. Ed Carpenter could win. "It's an incredibly competitive field and I would say the last five laps are going to be exciting. They are always in a big, tight pack and that could create a problem for Alonso because he's never experienced it before. Alonso could win, but I would not give him the same odds as Dixon or Castroneves." IndyCar's TV ratings have been up and an exciting, dramatic race on Sunday would only keep things on the uptick going into the second half of the season. The IndyCar series is set to make another stop at Pocono Raceway on Aug. 20, and Cheever believes the current momentum will continue. "Once again, this race has a great opportunity to showcase the entire series, " he said. "The races leading up to this one have been captivating, but maybe a little too strategic and based on fuel consumption, but the culmination of all the good work that has been done over the past six or seven will happen at this year's Indianapolis 500. There are just too many positive stories. We have a high number of extremely talented American drivers and great cars, which is great for the American public. It's all lining up to bring great attention to this race."